Unlike the world of feature films, there isn’t really a “classics” category in the short film arena. No big list discussed by experts in the field. There’s no bite-size equivalent to Citizen Kane, Seven Samurai or The Godfather. If there was however, surely Chris Shepherd’s work would be a contender for inclusion? Innovative, funny and distinctly British, the filmmaker’s work throughout the 00s felt like it was pushing boundaries only possible through the medium of short film. With his latest film The Ringer currently touring film festivals, I took some time to catch up with Chris and fire some questions his way. Just before the credits roll on The Ringer, we see the message ‘for my Dad’ appear on screen. Where did the narrative come from and why the dedication to your father? The Ringer is inspired by the first time meeting I had with my dad when I was 38. While the film isn’t a recreation of real events I did try to capture the emotions of those events and put them out on screen. I tend to do this a lot with my films. If I feel something from a story or an event I try to capture that on screen. I figure if I can feel that emotion, maybe the audience will too. About the dedication to my dad. I’ve only ever met him twice and not seen him for seven years. So like the characters in my film, I thought it would be nice to carry the spirit of reconciliation from the screen to reality. For me, The Ringer seemed to be a film about storytelling, in an age where anyone can call themselves a filmmaker, it seems like narrative is the main drive behind your filmmaking. Do you always take a story first approach? Totally. It’s all about stories for me. I’m not bothered about experimentation and technique. I always think of the story first then the style that would fit. If you look at my films they all have different styles. Like Who I Am And What I Want is a world away from Bad Night For The Blues or Silence Is Golden. The one commonalities are the themes and people. I love people. Comedy and drama both play a large role in The Ringer, how much emphasis did you put on getting the balance right when writing the script? I’ve always really loved films like Midnight Cowboy, One Flew Over The Cuckoo’s Nest, Billy Liar. They mix humour and drama. I think that’s like life. Basically, life is a joke. Somebody lying on their death bed could be the funniest thing ever while a stand up in a club trying to be funny could be the saddest. Humour is, of course, a great way to get the audience onside and hit them with something heavier. I learned that when I made Dad’s Dead. If you can get the audience laughing anything can happen. Saying that, to be honest – I try to be serious and it always comes out funny. John is in all of those iconic Ken Loach movies for a reason. He’s the best! 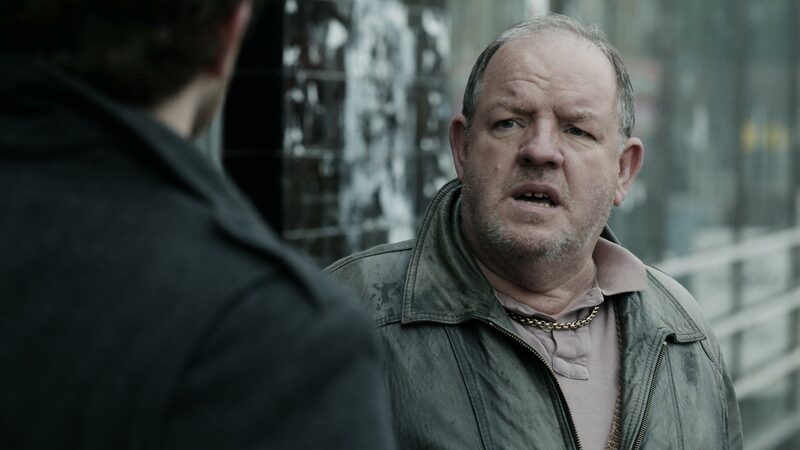 At the heart of The Ringer is another stand-out performance from the brilliant John Henshaw, was he always your first pick for the ‘father’ role and what do you think he brings to that character? I was really lucky that both Kieran Lynn and John Henshaw were free as they are incredible. John wanted to be the master of ceremonies in Bad Night For The Blues but the dates didn’t pan out. But he could be on The Ringer. I think John is incredible in the film. He’s such a nice guy. Thing is with his portrayal of Danny he’s everything all at once, vulnerable, aggressive, desperate. 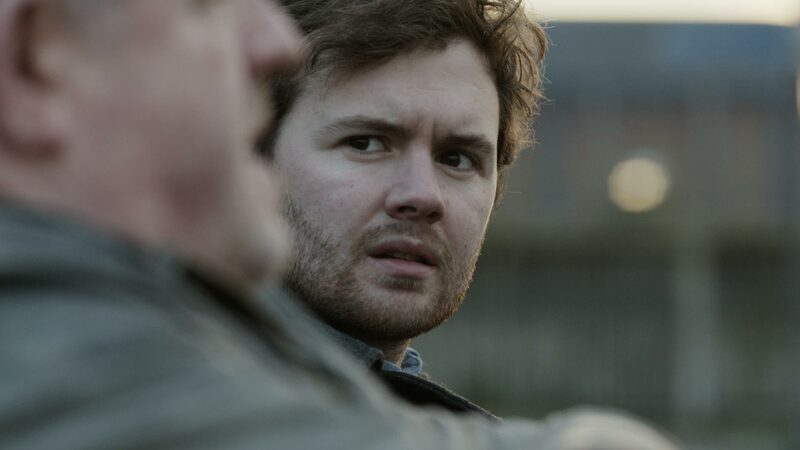 John is in all of those iconic Ken Loach movies for a reason. He’s the best! Was Tom Cruise too busy for the ‘Big Tony’ role? John Henshaw phoned repeatedly but Tom didn’t even reply. If you’re reading this Tom – come on – pull your bloody finger out. Stylistically, the film plays like a combination of gritty UK drama and grindcore action movie. How did you go about deciding the style for the two narratives running through the film? That was tricky. Especially with the sound. Cutting from Hollywood epic sound to social realistic landscape was a challenge. I designed the sound with Andy at 750mph. Andy has designed the sound on most of my films. As for the juxtaposition in terms of narrative, I was after a contrast between reality and Hollywood fantasy. In a Hollywood movie, the father and son would come together and end with the happy ending. I wanted to contrast this with reality where the son never makes it up to his dad. So The Ringer’s main narrative can never really be resolved. A big inspiration for this was Jack Gold’s 70s film The National Health. That inter-cuts a Hollywood Doctor Kildare story with everyday life in a National Health hospital. There are some powerful moments in that film and it’s well worth checking out. I like seventies films because they just go for your throat. That’s of course what Billy Wilder said you should do to the audience – grab them by the throat and don’t let go. I sat in the circle and started to cry in amazement. That’s the incredible thing about screenings. The magic. Your film has been doing the festival rounds, how has the reaction been to The Ringer and in general how important has the festival experience been for you as a filmmaker? People really love it. Seeing your film with an audience is always vital. That’s what it’s all about, especially in this age of the internet. You can end up in your own bubble making films. I remember watching Bad Night for the Blues in Clermont Ferrand. I’d spent ages writing feature scripts and was totally totally skint. Thinking that’s me now – game over. Hearing the audience in the Cocteau laughing at The Blues really kept me going. I sat in the circle and started to cry in amazement. That’s the incredible thing about screenings. The magic. What’s the immediate future hold for the film? I’m just waiting for it to do the rounds at the festivals then I’ll get it online. It won its first award the other day. The youth jury award at Courtivore Film Festival in France. I was thrilled about that. You can buy it from Autour De Minuit plus lots of my other films on a very limited collection. I’m just making a promo with Kurt Wagner from Lambchop. That should be out around the end of the summer. 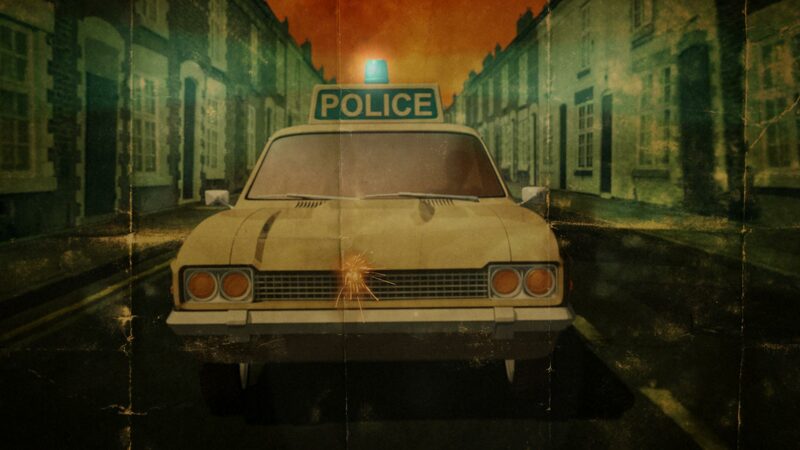 I’ve also recorded a voice track with Ian Hart where he reprises his role in my 2002 film Dad’s Dead. It’s an intense sequel. I’m not certain when it will come out yet but watch this space.